Tired of having to re-order Maple Holistics products when your cupboards have run dry? Sick of worrying about your rapidly diminishing supply of shampoo or essential oil? Looking for a great way to try a variety of Maple Holistics products at a discounted price? All items are of course 100% natural and cruelty-free as all items will come from our 100% natural and cruelty-free Maple Holistics catalogue. We are currently offering Tea Tree Oil Shampoo, Tea Tree Oil Conditioner, Rosemary Essential Oil + Bonus Product – all for the discounted price of $40 including shipping! 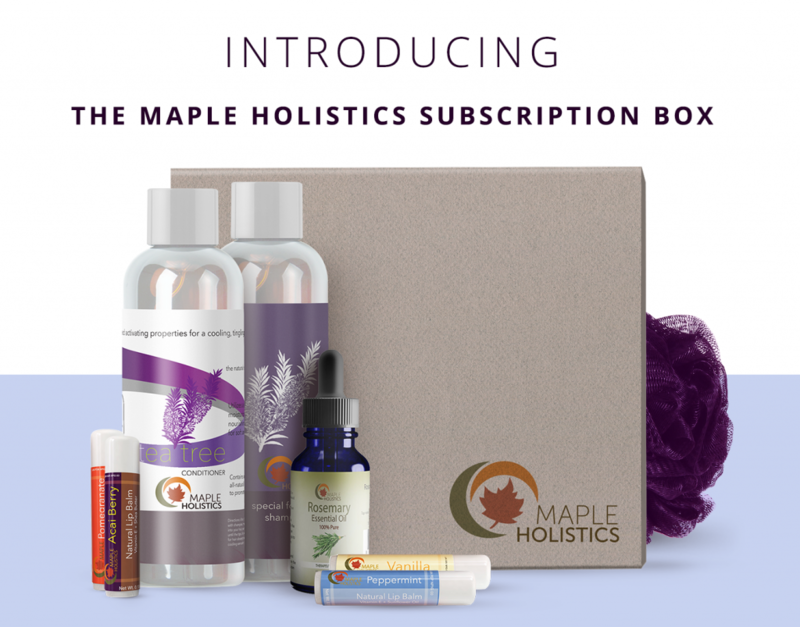 Note: The Maple Holistics subscription box is available only for residents of the continental United States. e-mail caleb@mapleholistics.com for order details.